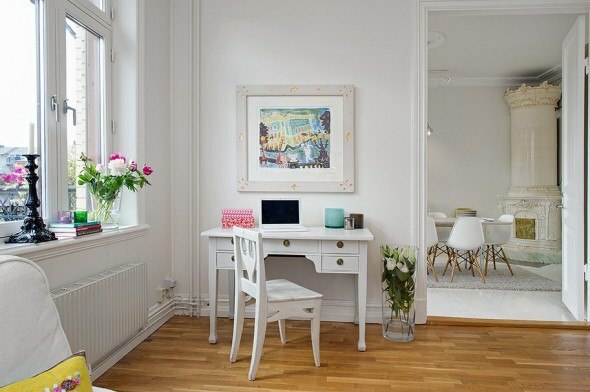 When we first started planning our move to Sweden, this is kind of how I dreamed of living… In a small open apartment in an old building in the city, decorated in all white, with a few pops of color. 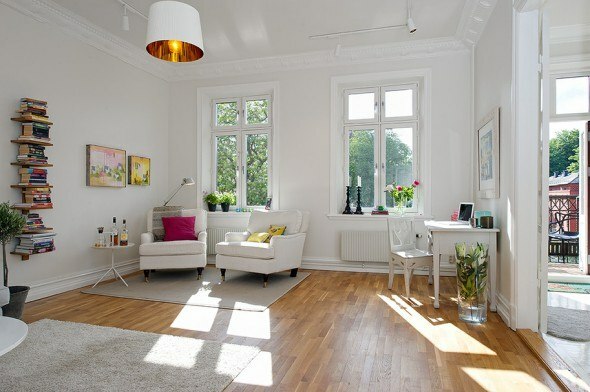 What I can’t believe now is that we live in a house 2,5 times larger than this gorgeous apartment, and we are slowly making it our own, and I am able to try to create our home this type of sleek all-white Scandinavian heaven. I’m hoping our home will be ready for some more photos sometime soon, can’t wait to share and hear what you think. 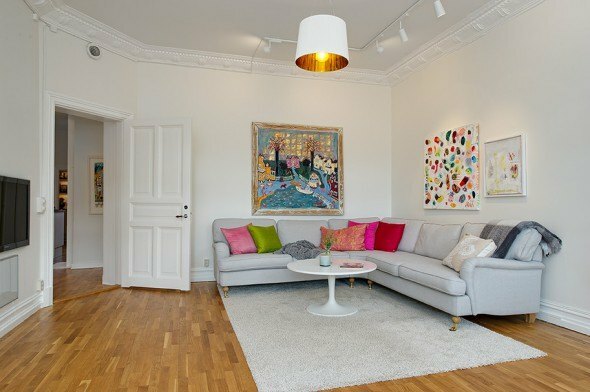 This home is from a Swedish realtor site and is for sale. See all pictures at Alvhem Mäkleri. I love the architecture and the old mixed with modern. The kitchen is probably my favorite. 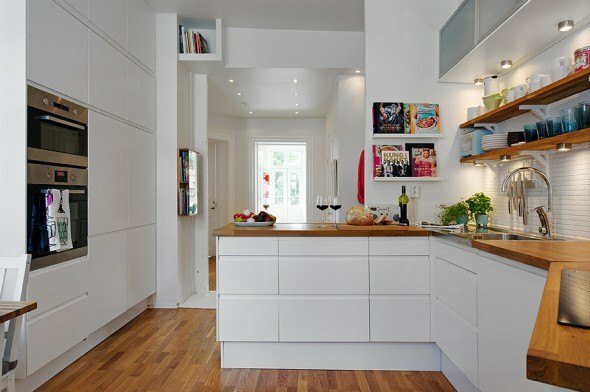 Maybe because in our house we can not replicate it, and I wish we had a simple white kitchen like this – even though it is a small one. 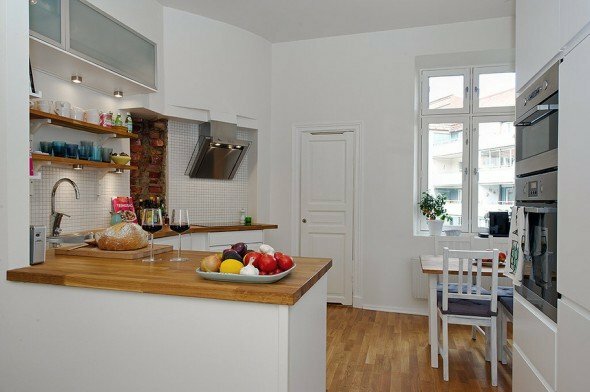 I’m sure if I had this small kitchen I’d be dreaming of a large kitchen what I have right now.. Either way, thankful what we have, and can’t wait to get our home somewhat decorated soon. 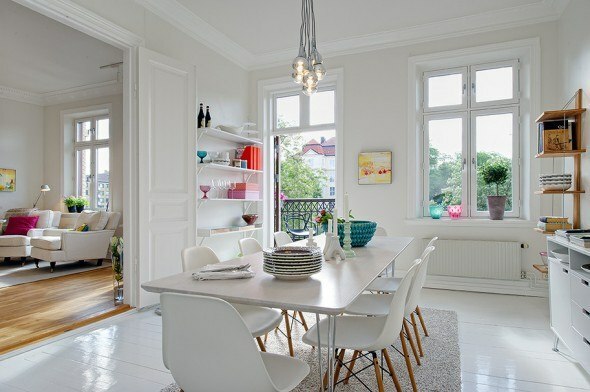 Love the home – where is the dining room table from? I absolutely love this. I love pops of color!!! That’s a lovely home. 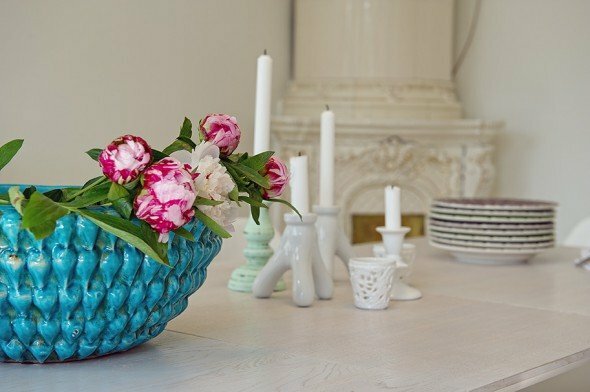 Love the pop of color. Really pretty.